In 2011 I tried to commit suicide. I won’t get into the nitty gritty as to why, but let’s say mental illness isn’t a rarity in my family. A group of extremely close friends went against my intentions and desires and sought help for me, which ultimately prevented the aforementioned suicide. I was then diagnosed with Clinical Depression, was prescribed with anti-depressants, and was enforced to see a therapist. However, I wasn’t able to perceive my friends in the same manner, either I was hurt from what I perceived as betrayal or I felt association with them conjured negative memories of attempted suicide. In the end I decided to disassociate myself from them and start anew elsewhere. After everything they did for me and all the anxiety and hardship I put them through, it amounted to me dropping them like a bad-habit. Yes I was a coward riddled with the fear of dealing with a harsh reality, but I was also not of the best mindset. As some would might expect, I found solace in a girl, my current ex-girlfriend. Perhaps it was disingenuous of me to solely embrace this girl because I simply had no one else to fit the description; I told her everything, putting my entire trust and confidence in her. Slightly over a year later, I decided I would stop taking my anti-depressants as I wasn’t comfortable with idea of taking a substance in order to be accepted by societal standards. With anti-depressants, my emotions were barely stable, it was fairly difficult to not get upset over trivial matters. Without anti-depressants, calling me a mess would be a severe understatement and unfortunately for my then girlfriend, she was the sole person I could confide in. She dealt with every single emotion imaginable, good and bad. Understandably, it became too much for her and she left. I would be lying if I said I wasn’t hurt as it was the moment when I needed her the most, but I don’t hold any resentment towards her. Once again, I was alone and terrified. I had stopped taking my anti-depressants and was petrified by the thought of developing suicidal tendencies once again. This time around, I had no friends who would come to my rescue and save me. I was terrified of giving into the temptation and end it once and for all, I had reached an all-time low. I hated myself for what I had become and lost everything I cared about as I slowly began to slip further and further from the realm of sanity due to do my mental instability and was left an empty shell of who I once was. I then resorted to smoking as it temporarily helped with the anxiety and cigarettes quickly became my new best friend. Still, it felt as if my end was imminent and honestly, some part of me accepted this. I had spiraled so far down the rabbit hole that any hope whatsoever of crawling out was unfathomable, that was until November 20, 2012. Now November 20, 2012 may have been an ordinary day for most of you, but for me, it was a day of importance like no other. I remember I was reading up on IGN, reading about a PS Vita remake of a 2008 JRPG called Persona 4; on the outside, it exuded that traditional idiosyncratic, Japanese flare that was a standard for most JRPG’s, and journalists kept praising the game unconditionally, so on a whim, I decided to grab a copy on opening day, November 20. I may not have known at that exact moment, but Persona 4 Golden was the perfect game for the perfect time. Never before have I played a game so applicable to a current situation of mine; as clichéd as it may sound, it simply was a game meant for me. Now even though Persona 4 tells a magnificent murder mystery that’s gripping from start to finish, I ultimately found solace in Persona 4’s cast of idiosyncratic hooligans. The characters of Persona 4 hide and supress their personal struggles, are confronted by their inner demons, and learn to not only accept but love their true selves. Before I realised it, I discovered thematic elements that were easily applicable to my self-hatred and began to learn from these characters as their resolutions were nothing short of inspiring. Most importantly, however, Persona 4 gave me the one thing I didn’t have: friends. The characters of Persona 4 felt real, their problems felt real, the relationships we built together were real, and just as they grew to become better individuals, so did I. Just as each character learned through their respective hardship, I began to accept my depression as a part of me, ultimately accepting the fact that it would never actually go away, but that I would learn to live with it and not allow it to impede my life. 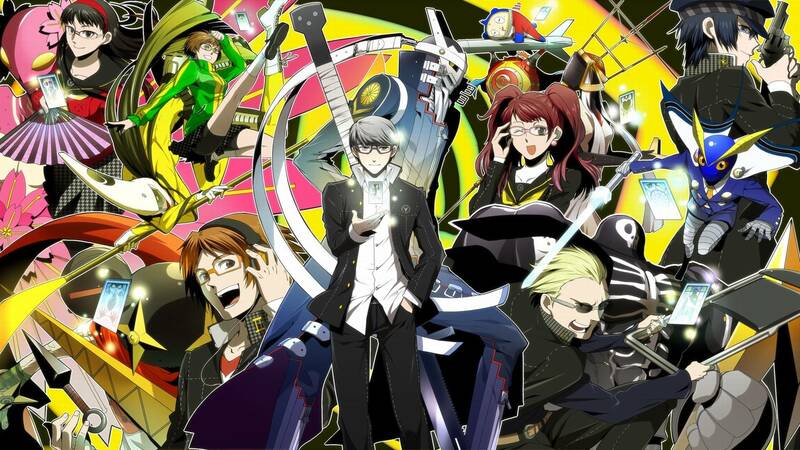 I grew attached to every single character and simplistic moments of taking motor scooters to the beach, spending a quiet Christmas with a significant other or a group of friends, or sharing a lodge full of shenanigans on a ski trip – this solidified my relationship with the Persona 4 gang and helped me realise that this was more than a game to me. Before I realised it, a week had passed. Then another. And another. Then, before I knew it, two months had passed by. 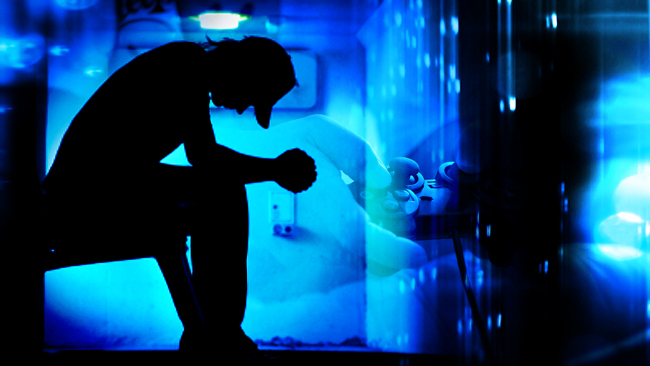 At that point, not a single suicidal thought swam through my mind, all I honestly thought about was turning on my PS Vita and hanging out with my friends some more. Persona 4 helped me in a manner that no therapy could ever replicate, it gave me friends that never asked anything of me, and taught me the true values of friendship and love. I was then able to accept and love myself, depression and all, move on from the experience, and take the next step into recovery. 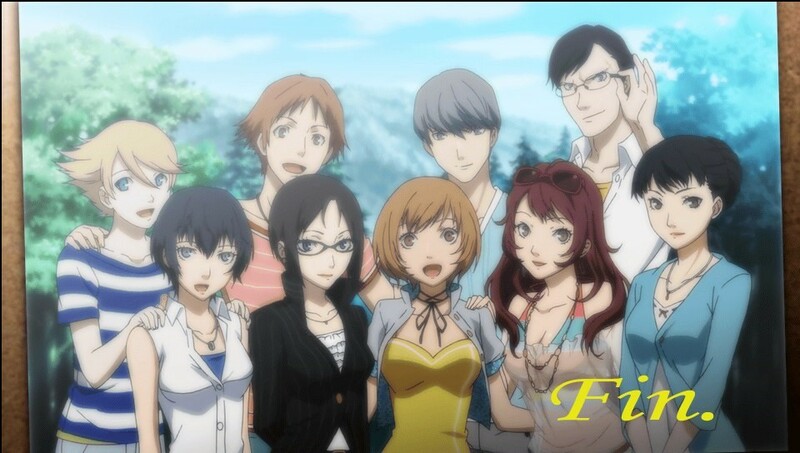 Saying goodbye to my friends in Inaba was an extremely melancholic moment that is unanimously shared amongst every man, woman, and child; understanding that the bond you share with the ones you love will not only make you stronger but keep you together indefinitely, no matter where you are. After saying my heartfelt goodbyes, it was time for me to move on from both the suicidal experience and Persona 4, and ultimately rebuild myself. At this point it had been nearly two years since I had disassociated myself from my friends, and although I was extremely ashamed by my actions, I knew I had to make amends for my mistakes. Some were more accepting of my apology than others, and some damage couldn’t be undone, but what mattered to me was that they knew I was done with running and wanted to rebuild my puzzled life. Whether they wanted to continue our friendship was ultimately their choice but regardless of their decision, I’d respect it nonetheless. Luckily, I’ve rekindled my friendship with a select few, and we’ve remained good friends to this day. I admittedly lost something within myself through this entire experience, and find it slightly difficult to socially interact with others, as my life is most definitely a work in progress, but the important thing is that I accept myself for who I am, and because of this, I’m able to continue my passion for music and video game writing. Even 3 years later, the experience still has taken its toll on me and I’m rebuilding on a day-to-day basis; however, even to this day, I use Persona 4’s thematic elements of acceptance, love, and friendship as a guideline for self-recovery and still cherish the relationships I built with every single character. Persona 4 picked me up when I hit rock bottom and also prevented, what could’ve been an unfortunate tragedy; it taught me the importance of the bonds we make and the true power they possess, but most importantly, Persona 4 gave me friends when I needed them the most. Whether you constitute that as pathetic is purely subjective, but the experience I shared with those characters was real to me and will forever be a part of me. Persona 4 Golden touched me in a way that no other form of entertainment could possibly mimic; simply put, a video game saved my life, Persona 4 Golden saved my life. I honestly can say that I wouldn’t be here today if it wasn’t for that idiosyncratic JRPG. Persona 4 Golden is more than a video game to me, it’s a turning point in my life that paved the way for my self-actualization and recovery, and its importance and personal connection can never be rivaled. Hope is a rather peculiar thing as it’s inconspicuously hidden in our everyday lives and can take many forms; it can take the form of the people you love, it can take the form of a passion, it can take the form of a goal or dream, or sometimes it can take the form of a PS Vita game card. Thank you so much dude. Honestly, your words are extremely kind and mean the world to me! And yeah we haven’t known each other for very long, but that doesn’t detract from the great experiences and conversations I’ve had with you and I am very grateful for them. I sincerely mean it when I call you “my friend”, and I’m normally extremely socially awkward and can’t hold a conversation, but with you my friend, it was effortless, so thanks for being my awesome gaming buddy! And yeah, it’s definitely a sensitive topic, but I knew from day one, since starting this blog, I wanted to write about this as it’s integral to who I am and why I love video games, and I hope people can learn from my mistakes and experiences and learn to accept whatever inner demons that consume them and move on. I hope that those who can relate, can let out a sigh of relief, knowing that they’re not alone out there. Gaming is an extremely powerful medium that has the power to change even the most minute detail and sometimes it can move mountains (figuratively lol). This was beautifully written. I’m so sorry that you’ve had to suffer so much. I have suffered from recurring depression my entire life, as well as OCD and social phobia, which certainly don’t make life easy. I too have found solace in video games (and as you might have guessed, animated films). This was especially true in 2013 when I lost my mother to cancer, and my depression reached new levels. The two things that helped me recover were Ni No Kuni and Disney’s Frozen. I’ve thought about writing about this for a while, but have found it difficult to write about something so personal. You are certainly a brave individual for coming out with all of this. You have my best wishes. Wow thank you so much for the kind words. Honestly, to me, sharing this experience was the next step for my own self-recovery as I’m trying to make it a thing of the past but not deny that it’s a part of who I am. We all have our own quirks and idiosyncrasies but it’s good that we learn to never let those hold us back. You’ve written something inspiring here. Like all others who have read this, I deeply respect the courage it took to write something this intimate, and you should be proud to have done so. Sorry to jump in with the club here, but I had a year of depression between 2013 and 2014 when I suffered various forms of abuse at the hands of my former friends and peers, which led me dangerously close to tipping point and caused me to hurt myself several times. Like you, one side of my family has a history of mental instability. I’ve since moved on a great deal, with changing schools being one of the most important parts of the process. Though I now have a great group of friends who genuinely respect me, I still seem to be unable to fully accept what happened to me, and remain mentally destabilized in a few minor ways, but its nothing significant, especially when I see those who have been through worse. At the time, I often used video games as an outlet in the many hours I spent alone, at the expense of studies I didn’t have to mental strength to complete to an above-average standard. GTA V was a particular favorite, though it didn’t exactly provide me with much to work towards in terms of personality! You’r skilled as a writer and musician now, and I’m glad to know you have this. Wishing you best of luck in any further recovery. I’m glad you’ve found a group of friends that give you the respect you deserve and don’t mistreat; I can’t fully understand your situation as I’ve never experienced abuse in that manner, but I was abused growing up, so I can empathize with your situation. What I tell myself in regards to my own depression is that I’ll never truly get over it and it won’t ever go away, but I will learn to live an honest, happy life without it dragging me down, so maybe you can look at your experience like that? Unfortunately, it may always be a part of you, but you don’t have to go through that struggle alone 🙂 I’m glad you found solace in video games and you have people that genuinely care about you. I completely understand, GTA V was your form of escapism, tentatively putting aside the harshness of the real world, and immersing yourself into a brand new world that you can control. I’m glad it helped you cope 🙂 I found meaning through more thematic elements of games, but sometimes, you just need an outlet of some sort. I really appreciate you confiding your inner struggles with me as it is equally as brave and just know that you’re not alone! I don’t know if this still active or anything but I just want you to know that I found this article and it really is moving. Even though my experiences through life were not as bad as yours I’m happy to know that this game touched others in the way it did to you and I. Unfortunate events have transpired in my life and at one of the worst I was playing this game and it really helped me through it and taught me so many life lessons, this game is just beautiful. I’m sorry you had to go through all you did in life but it’s nice to know that the art of games can bring people together life this and make positive changes in peoples lives. Hey mate, this site is still active! Thanks a lot for the comment and I’m glad you found the piece to be moving. I’m happy to know that this game has helped many with their own inner demons and personal struggles and goes to show how tangible video games can be and the impact they have one’s life. Persona 4 is more than a video game to me, it is an experience, a best friend that was there for me when I needed it the most and was strangely accessible to my situation at the time. Things get better my friend, and I hope that you are doing well. That’s quite a story. It definitely resonated with me as I’ve been battling depression for a few years now. Excellent piece man, even though I do not have depression I still felt such a connection to what you wrote. I hope things are going better for you. I just recently finished persona 4 golden and it was a life changing experience for me as well. It helped me realize that I was pushing people away in life for stupid reasons and I need to work on building better bonds with people and appreciate the ones I have. Thank you for writing this.